Most routine medical procedures and surgeries contain an element of risk—at bare minimum, the risk that the treatment will not succeed is always present. When a known risk becomes reality and the medical professionals involved did everything to help the patient, medical malpractice is not an issue. Despite the fact that you must accept certain risks when seeking out medical treatment, you do not have to accept the results when you receive negligent care that does not follow generally accepted medical standards. Like anyone else, medical professionals are unable to guarantee favorable results based upon their medical care, and, of course, not every bad outcome in the health field will lead to a medical malpractice claim. However, Doctors and medical professionals are human and may make mistakes, but you have the right to hold the responsible parties accountable when their negligence causes you to suffer harm. Medical professionals are required to exercise a duty of care with respect to their patients. When a patient is injured or harmed as a result of the negligent actions of a doctor, nurse, or other healthcare provider, that patient has the right to be compensated for those injuries. At Gonzalez & Cartwright, P.A., our medical malpractice lawyers have been advocating on behalf of clients in South Florida for decades, and have developed a strong reputation for not backing down in the face of intimidation. Medical malpractice cases are frequently complicated, as can only be expected when complex scientific information must be handled in an already complicated legal system. We understand that many of our clients will have substantial questions regarding their right to recover compensation for harm suffered at the hands of negligent medical professionals, and are here to advocate on your behalf every step of the way—from case evaluation to accepting a settlement offer. Regardless of the severity of your injury, if you were harmed because you received negligent medical care, contact an experienced medical malpractice lawyer to explore your options for recovering compensation. Standard of care: The standard of care required of a medical professional will depend upon the type of procedure involved and the expertise of the individual who typically performs that procedure. In the medical context, this standard generally requires the medical provider to act in the same manner that other medical providers would in the same situation. Breach: The medical professional must have breached his or her duty of care by providing substandard medical care. Injury: The negligent act of the medical professional must have caused injury to the patient that was reasonably foreseeable given the circumstances. Damages: The injured party must establish that he or she sustained damages as a result of the injury, which could include additional medical expenses, lost earnings, future rehabilitation needs, and pain and suffering. Medical malpractice lawsuits are subject to time limits that require the injured party to file a lawsuit within two (2) years of the date that he or she knew, or reasonably should have known, that the injury had both occurred and was caused by medical malpractice. This statute can present issues and complications as to whether a patient could have reasonably known the cause of the injury, especially in cases where the injury is not dramatically or immediately apparent. Florida also imposes what is known as a “statute of repose,” in addition to this statute of limitations. The statute of repose provides that a medical professional cannot be sued more than four (4) years after the injury was caused. This is true unless the medical professional took steps to fraudulently conceal or misrepresent the situation so as to cover up the injury or its cause. Our experienced Boynton Beach medical malpractice lawyers can help you determine whether an exception to the general time limits applies, and we can also help you evaluate whether a medical issue you have experienced may be tied to malpractice. Why Choose Gonzalez & Cartwright, P.A. to Protect Your Rights in a South Florida Medical Malpractice Lawsuit? Because of the time limits that apply in medical malpractice cases, it is important to contact an attorney if you have any doubt as to whether your injury was caused by medical malpractice. At Gonzalez & Cartwright, P.A., our Boynton Beach medical malpractice attorneys have successfully represented hundreds of clients in their medical malpractice lawsuits. If you were injured by the actions of a medical professional who you trusted with something as important as your medical care, we understand that it can be difficult to believe that an attorney can be trusted to protect your rights. In addition to providing high-quality legal representation, our attorneys are compassionate, trustworthy, and dedicated to protecting our clients’ rights. 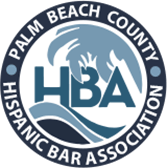 In our firm, we actively advocate for our clients both in the legal context and through our grassroots community involvement, with the goal of improving the comprehensive quality of life within all aspects of our shared community. We offer a free initial consultations and we will provide you with our honest and straightforward opinion as to the viability of your case. So if you have questions after sustaining injuries after treatment in a hospital, doctor’s office or other medical facility in West Palm Beach or elsewhere in South Florida, contact our medical malpractice lawyers via phone call or online contact form, to schedule a free initial consultation today. Our main office is conveniently located at 813 Lucerne Ave, Lake Worth, FL 33460, and we also have an office in Pompano Beach, Florida. We are also available to visit you in the hospital or in your home while you recover from your injuries. 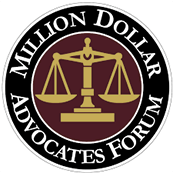 FAQ: Who is eligible to bring a lawsuit to recover damages resulting from medical malpractice? If you or your child was injured as a result of medical malpractice, or if your injuries were made worse by the negligent actions of a medical professional, you may be able to sue for compensatory damages. If your loved one died as a result of medical malpractice, our attorneys can help evaluate whether a wrongful death action is a viable option. FAQ: Who can I sue for medical malpractice? The hospital itself is the most common entity that will be held responsible in a medical malpractice lawsuit. The hospital may be vicariously liable for the negligent actions of its employees, including nurses, paramedics, and medical technicians. If a doctor’s negligence caused the injury, the hospital will typically only be held liable if the doctor was an employee of the hospital. In many cases, doctors who perform medical services in hospitals are not actually employees of the hospital itself. If the doctor is not an employee, he or she can be held liable independently. Ultimately, it is the medical malpractice insurance provider that will typically be responsible for payment. FAQ: Can I still recover compensation for injuries stemming from medical malpractice if I signed a waiver accepting the risks of the procedure before I received treatment? Yes. When you sign a waiver, you accept the fact that the treatment may not work as planned, and that known risks do exist and can manifest themselves. Even if this acceptance of risk seems comprehensive, you do not accept the risk that your medical team will fail to adhere to generally accepted professional standards that have been developed by the medical community itself—in other words, you do not take on the risk that your doctor will act negligently or recklessly in administering your care. Waivers can complicate matters, but nearly every patient signs one, so our lawyers are experienced in evaluating and consulting with experts regarding the harm that actually did occur because of your treatment. FAQ: Where in South Florida do you handle medical malpractice cases? FAQ: How long will it take to obtain compensation in my medical malpractice case? The answer will vary depending upon the severity of the injury and the egregiousness of the medical professional who caused the harm. If the hospital and insurance companies think they have a strong case, they may continue to resist offering a fair settlement award, which could mean that a trial will become necessary to make sure you are protected. We will also locate and consult with various medical experts who can help establish the applicable standard of care that the medical professional should have followed, and that he or she failed to apply this care in your case. We are required to file your lawsuit within two years’ of the time you knew of your injury or illness and, in all cases, no later than four years after the time the medical malpractice occurred. While these time limits dictate how long we have to file a lawsuit, they do not indicate how long the case will take to resolve.